I gave my four-year-old his first Richard Scarry book last weekend, and as I'm sure you can guess, he loves it. He's obsessed! There's so much to look at! I bought him What Do People Do All Day? because I remember reading when I was little. It's funny how the illustration of pigs laying bricks and the cross-section of a ship can bring back an exact snapshot of a moment from my childhood. Scarry, Richard. 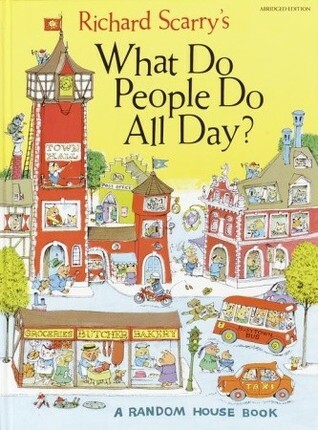 What Do People Do All Day? (Abridged). 64 p. 1968. Random House. Hardcover $14.00. 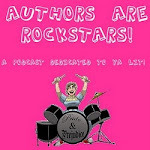 ISBN 9780394818238. I love the way this book enhances our daily walks to the park-- my son is now on the lookout for manhole covers, which he understands connect to the sewers, and he can tell you all about how the builders put a water heater in a new house. I also appreciate how the vignettes explaining various job functions demonstrate how we all do our part to contribute to society. This book gives my son and me a lot to talk about-- not just about the wide variety of jobs people do, but also about how we can all help each other by working together. And my two-year-old daughter just loves the illustration of the ballerina cat. Because mommy takes ballet! And of course I'm every bit as graceful as that dancing cat... or at least my daughter thinks so. My only objection to this fine tome? No examination of the inner workings of the Busytown Library. Ah, well. 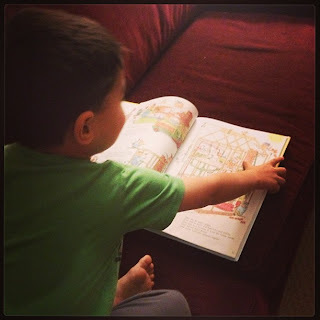 What was your favorite Richard Scarry book? All of the Richard Scarry books I read as a kid have run together without titles. I think I had one on vehicles . . . Anyway, I think it's a fantastic choice for your son. Happy reading. I love this post. 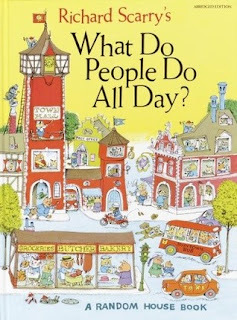 I'm such a huge fan of Richard Scarry's books! I love Richard Scarry books too! I can't even tell which one is my favorite, because they all are perfect to me. Once i even purchased a paperwork about it. But, of course, I read the Paperwritings testimonials before. In order to post was excellent,It's so interesting that you mention the idea that you will have educational to achieve something much higher in their lives.